Everyone is a pastor. 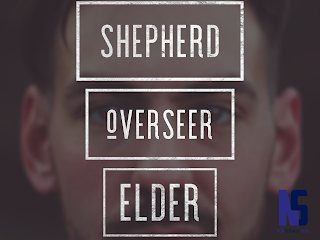 The word “pastor” in our English Bible comes from three Greek words: “shepherd”, “overseer”, and “elder”. 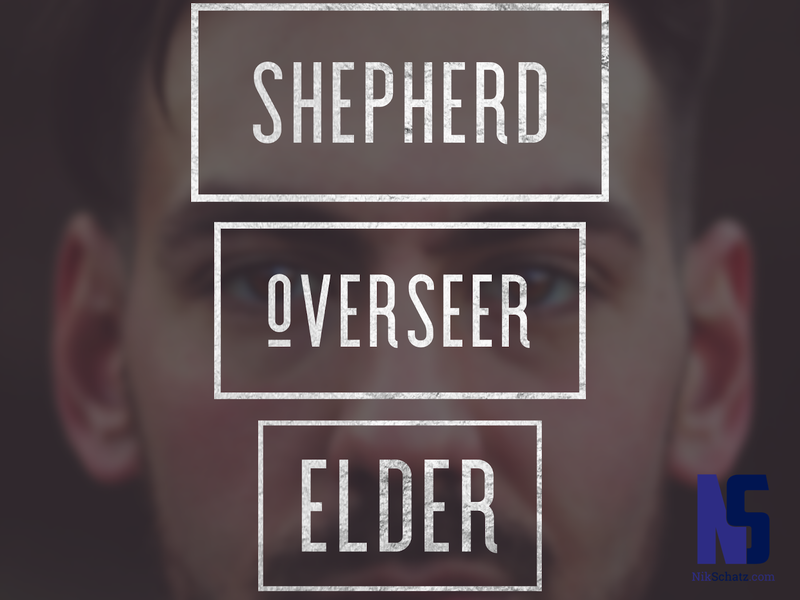 In this post I’ll talk about what it means to be a SHEPHERD. The metaphor of shepherding - common throughout the Bible - has lost much of its meaning today. Shepherding just isn’t a common occupation in the modern world. I don’t have any friends who are shepherds... I assume people still do this for a living, and I assume that I know the gist of how one cares for and reproduces sheep, but I really have no clue what goes into it! In their book The Way of the Shepherd, Kevin Leman and Bill Pentak monologue the early career of Ted McBride, CEO of General Technologies. In his final semester at the University of Texas at Austin, Ted sought out a mentor to give him guidance before entering the business world. One of his professors took Ted under his wing and taught him leadership lessons at his home ranch - working with a flock of sheep. His professor taught him leadership lessons that carried over to the business world. He learned the importance of knowing the condition of your flock, identifying with your flock, keeping the pasture a safe haven, and using the staff and rod for direction and correction. 1 Peter 5:2–3 (TNIV) — Be shepherds of God’s flock that is under your care, watching over them... eager to serve; not lording it over those entrusted to you, but being examples to the flock. Good pastors know the state of their people. They are aware of the struggles and strengths, the pain and celebrations, and the needs of those under their care. Hebrews 13:7 refers to this as “keeping watch over your souls”. As a manager, you probably know the compensation and HR needs of your direct reports. But what if you were their pastor as well as their employer? As a parent, you probably know the dietary and logistical needs of your children. But what if you were their pastor as well as their father or mother? As a ministry team leader, you probably know the schedules of your volunteers. But what if you were their pastor as well as their coordinator? In my junior year of college, the Dean of Men established me as a dorm supervisor. Part of my job was to make sure guys were in their rooms and quiet by a certain hour. Around the third week of school I chided a freshman roaming the halls after hours. He responded with “Man, you don’t even know my name!” Ouch. The next night I tucked my tail and walked room to room, saying “Hey guys. I’m sorry, but it’s been three weeks now and I don’t know your names or anything about you.” It took me a week or two, but I eventually got all the guys’ names down on my floor, where they lived, and so forth. Just knowing their names and background greatly changed their interactions with me as their leader. A shepherd wants to see his sheep grow soft wool, keep clean hygiene, live a long life, and reproduce - he wants his sheep to thrive. Likewise, a pastor wants his flock to thrive in their relationships, their discipleship, and their mission. And this is what followers ultimately need. They don’t want someone to tell them what to do. Or to give them a list of rules. Or to be a life consultant. People want leaders who care about helping them thrive in doing what God has called them to do. This is the act of equipping: “to prepare for a purpose, prepare, make, create, outfit” (BDAG, 526). Sometimes this requires giving direction. Sometimes this requires rebuke. Or encouragement. Or protection. Or prayer. Or the handing off of responsibility. A pastor is an equipper, one who shepherds others towards following Jesus more effectively. 1 Peter 2:25 (TNIV) — For “you were like sheep going astray,” but now you have returned to the Shepherd and Overseer of your souls. 1 Peter 5:4 (TNIV) — And when the Chief Shepherd appears, you will receive the crown of glory that will never fade away. Shepherds also have to face this truth: they are sheep too. Timothy and Titus realized that they followed a shepherd - Paul the apostle. Barnabus followed his shepherd, Peter. Many reading this have to act as a shepherd who follows another shepherd. Perhaps you lead a ministry or group and you report to a pastor or director on staff. Remember: the effectiveness of your leadership is directly correlated to the effectiveness of your followship. Ultimately, all of us fall under the authority of Jesus Christ, the “Chief Shepherd” (1 Peter 5:4). And Jesus has chosen to delegate his authority of pastoring to people like you and me. This isn’t about my sheep. This isn’t about my agenda. This isn’t about following my life lessons. It’s about stewarding relationships and responsibilities that God has graciously placed in my hands.